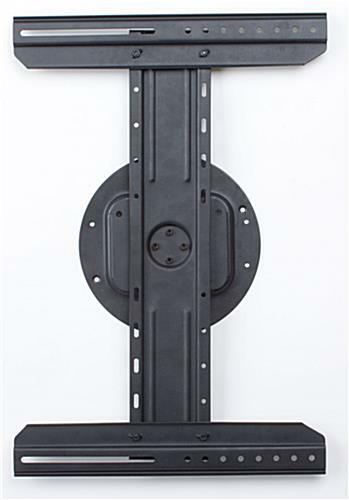 This TV Wall Mount Will Ship Immediately! Thousands of Television Stands and Monitor Carts Can Be Purchased Through This Online Retailer! Order a TV Wall Mount Now and Start to Advertise Your Company More Effectively! 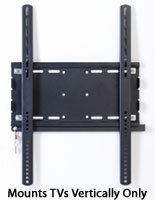 TV Size Range: 37" to 70"
Bracket Load Capacity: 110 lbs. 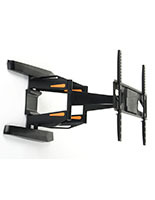 TV Wall Mount Supports Flat Panel Screen Up to 110 lbs. 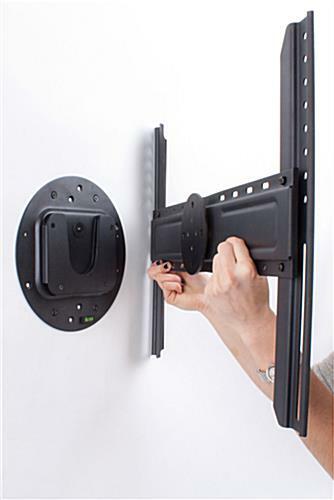 A TV wall mount, like this quality steel flat panel bracket, is a great way to save space in any room! The latest versions of LCD television sets often times include a large base that is anticipated for entertainment credenza positioning. Even though this arrangement can be useful in certain locations, the unique low-profile framework of this mounting rack provides additional room within a given area for other types of furniture! As LCD monitors become increasingly larger, an affordable, durable support is an ideal investment for all users! In the meantime, as technology continues to evolve, it can be harder for customers to select the right bracket for a display. 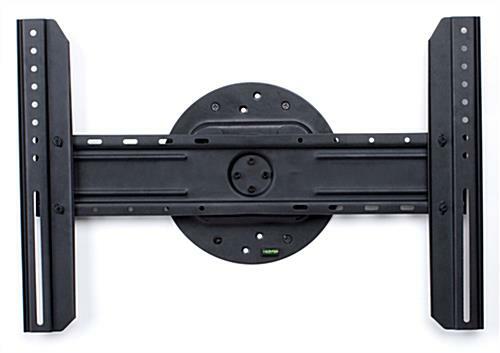 While this TV wall mount features an adjustable bracket, the VESA compatibility attribute integrated enables users to fit a screen up to 600mm x 400mm. The screen is also able to swivel 360° by hand, a logical feature for businesses that provide various presentations to audiences daily! 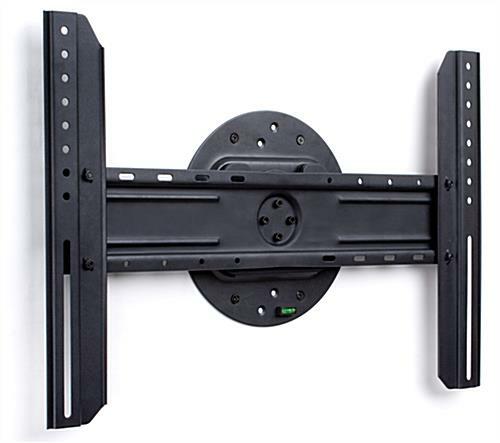 This heavy-duty plasma bracket, TV wall mount that supports 110 lbs., can be used resourcefully in commercial and residential settings! Although television displays today are designed larger, the electronic devices integrated within are actually becoming lighter, which makes hanging a larger screen easier and safer! 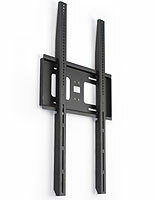 Similarly, this TV wall mount accommodates a 70" screen, weighing less than the constraints, without any issue! Customers who have purchased this stand resourcefully position electronic devices along any divider so as to create a prime, optimal viewing personal theater! 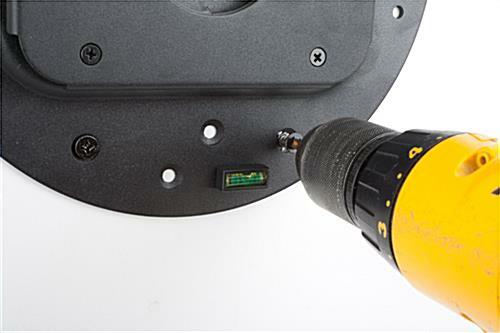 This flat panel holder, TV wall mount that is easy to install features a circular mounting bracket which screws into any building framework stud. A television can be displayed in portrait or landscape orientation by simply adjusting the attached system into holster vertically or horizontally! Please refer to the supplementary images on this page for a straightforward visual of how this bracket repositions from landscape to portrait orientation! 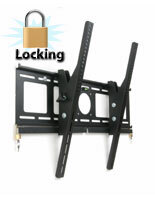 This detailed flat panel support, TV wall mount that includes a safety locking mechanism helps to prevent potential theft of an expensive LCD screen! 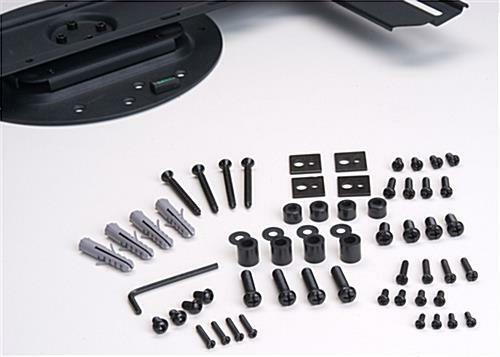 The security element incorporated into each bracket is valued by all types of users, including home owners! Secured devices lessens the probability for theft significantly and thus, this bracket can be ideally used in any applicable location! 23.8" x 17.3" x 20.0"